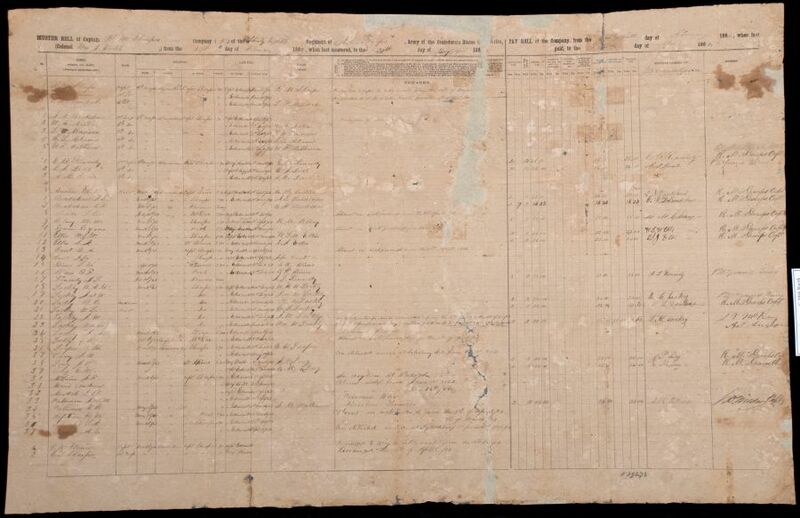 During Preservation Week, the State Archives will be displaying a recently conserved 1864 payroll for Company G of the 38th North Carolina Infantry, Confederate States Army. When it was donated, the company payroll was in poor condition. 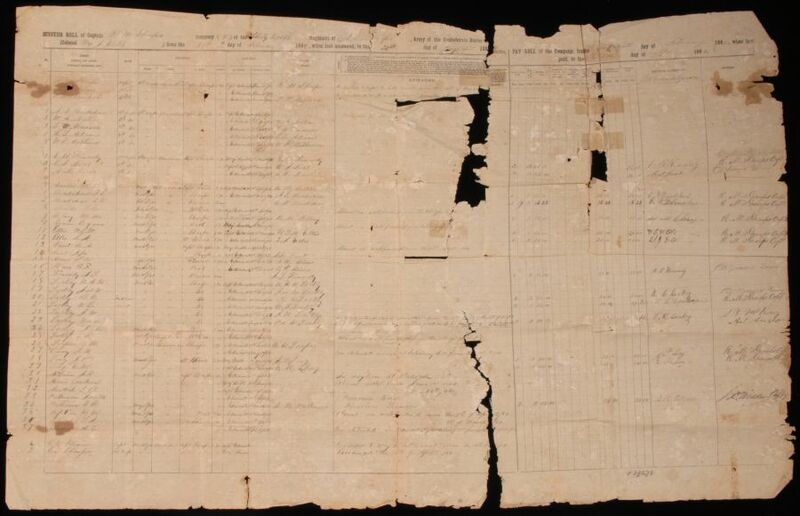 Though the family had done what they could to preserve it, the document suffered from previous water damage and had numerous tears and areas where the paper was lost completely. Some of the text areas were folded over, which obscured the information. 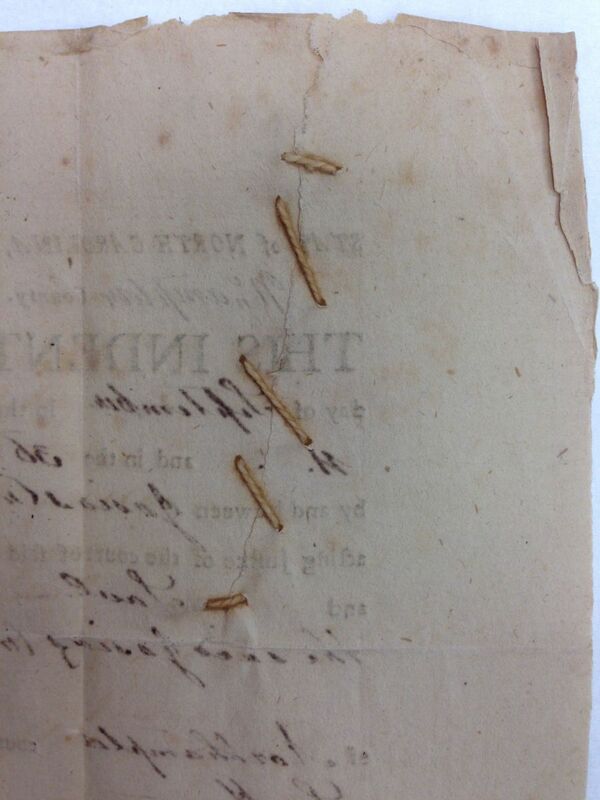 There were also several old pieces of tape which had been used at some point to hold the document together. 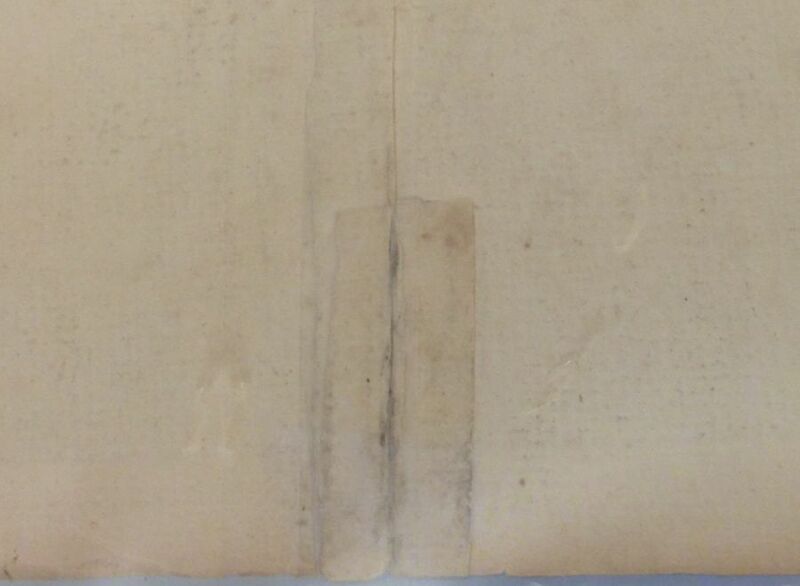 As regular readers of The Charter know, tape can cause a lot of damage, and can be extremely time consuming for a Conservator to remove. The treatment started out with thorough written and photographic documentation of the condition of the payroll. Solubility testing was carried out to see if the various printing and manuscript inks could be safely washed, as well as to test what solvent combination would work best on the tape. 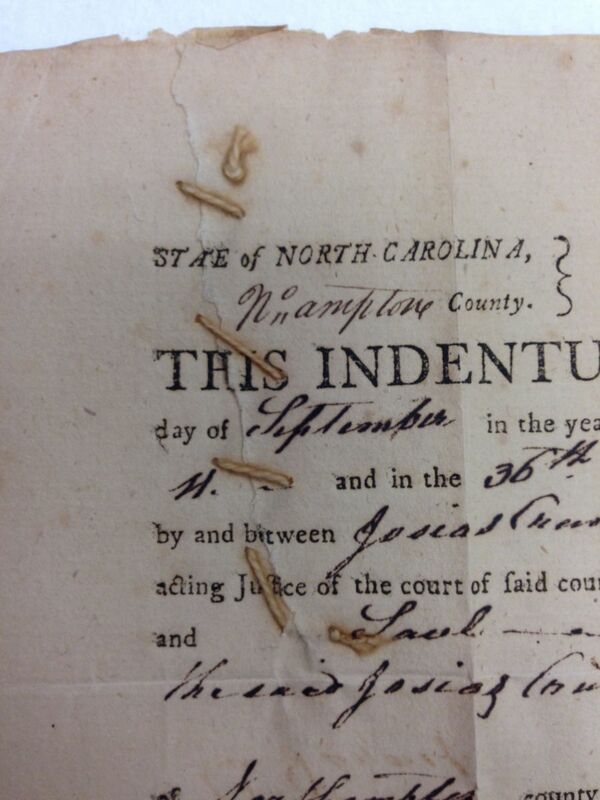 The document was cleaned with a soft brush, and then each piece of tape and its sticky residue was carefully removed. The document was then washed in a bath to remove some of the products of deterioration which had built up in the paper as well as re-establish the chemical bonds. Next, the document was placed in an alkaline bath, which raises the pH of the paper slightly and gives it a buffer against future acidic degradation. The document was dried flat, and then carefully mended back together using wheat starch paste and a thin Japanese tissue which had been toned to match the color of the paper. Larger areas of loss were filled in with a heavier weight tissue. Finally, the payroll was encapsulated to add protection from handling. The exhibit will be up through the end of the week and will display the newly conserved payroll and show examples of preservation techniques used to protect paper based materials. The exhibit will take place in the Search Room of the State Archives of North Carolina located at 109 E. Jones Street, 2nd floor. The State Archives is open 8am – 5:30am, Tuesday –Friday and 9am-2pm on Saturday. 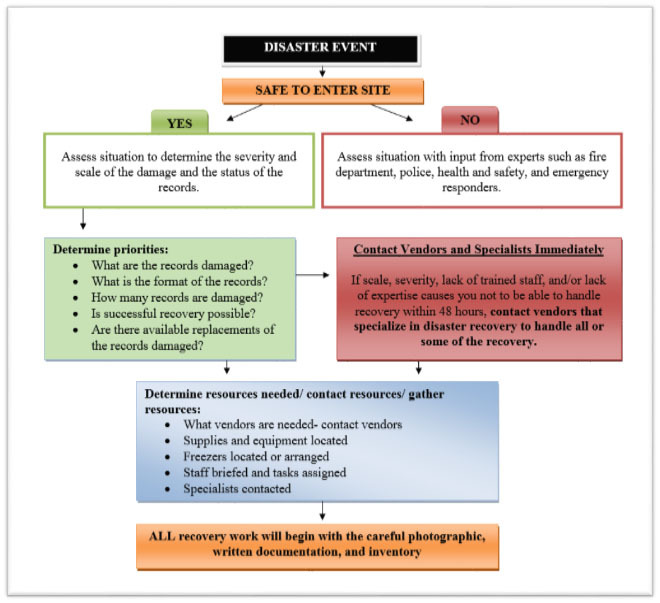 This entry was posted in News, Preservation and Conservation and tagged Collections Management Branch, conservation, Preservation Week, United States Civil War on April 28, 2015 by Ashley.